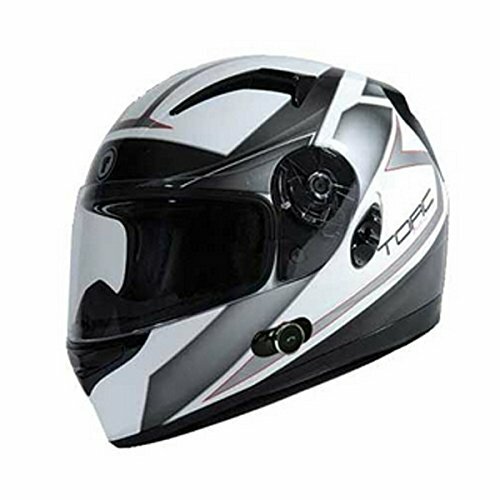 Looking to add Bluetooth audio to your helmet? We have compiled the latest Bluetooth audio products for cycling, integrated Bluetooth audio motorcycle helmets & Bluetooth headphones. Bluetooth communication is not new, but the integration into helmets has slowly taken off. The capability & convenience to have an integrated speaker & intercom system in your ear will make your ride that much better. You can easily take to other riders, answer phone calls, listen to music or even set the GPS on your smartphone. You want to make sure the system you purchase will do what you need it to do & make sure you have the range you want if you want to utilize the intercom system. Some of the units will only intercom with the same brand units, so keep that in mind. On applicable items, we added amazon reviews to help you make the best purchase & have an enjoyable shopping experience. Since this is a fast growing category, be sure to let us know if you find Bluetooth audio products so we can add them to our site. Just send us a Facebook message with the details.